Virus is a piece of code which makes its own copies in the system after execution. Thus it started utilizing the computer resources like CPU and Memory and affects the overall performance of the system. Sometime it attacks to the core code of any program and changes the behaviour of the program or corrupt it completely. If the same code is built from a wider destruction perspective then it can harm your operating system too. Mostly these viruses target the Microsoft OS as it’s the most popular and commonly used operating system. Now the question arises that how does a virus spread? How do our systems get affected? The answer to both the questions is that a virus needs a network to spread, it could be LAN, Internet etc., second we don’t get the virus directly but we receive it with a blend of other related things. Some time we receive it through an email, web sites, already infected devices (like PEN drive), online games and many more other sources. Trojan Horse – This is the virus which is hidden and installed secretly. When you browse any unsafe site or download something from unknown location then Trojans also get downloaded with the data which later cause different system issues occurs in the system. Spyware – It monitors the mouse and keyboard actions made by a user. It most commonly known as key-logger program. Spyware can also be delivered via a Trojan horse program. If you are unaware and using an infected system, you unknowingly may pass your secret detail (like bank info) to the key-logger. From where a hacker can collect all the information later on. Adware – Adware is a form of malware. This is mainly designed to pop up advertisements and is very annoying. File infected virus – These are the virus which are bound with an executable file (.exe). The moment you run this file, virus enters into your system. Hence it’s always advisable to not run the unknown executable files. Worms – It’s a nasty program which slower down your computer and spread via the network hence slower down the network performance as well. These are commonly spread via the emails. Above mentioned are the few type of viruses. However there are many more other type of viruses available these days. Above mentioned types are the core and common one. Ever wondered who created the first virus in the world? Here is the answer – First computer virus was developed in Lahore, Pakistan by two brothers and was released in January 1986. It infects the boot sector of the storage media formatted with DOS. If there is a problem, there is a solution. 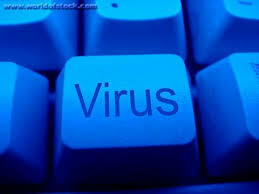 Since the viruses come in the picture, solution also comes in. Currently we have multiple anti-virus software available to save our systems. You can pick the one of your choice. However it’s always good to avoid any suspicious site. Any web site where you get continuous pop ups and downloadable material better to avoid them. Always remember to scan the pen drive before using it. If you receive any lucrative email from unknown recipient which also contains some kind of attachment as well then never open it. Try to use the original software rather than their crack versions.